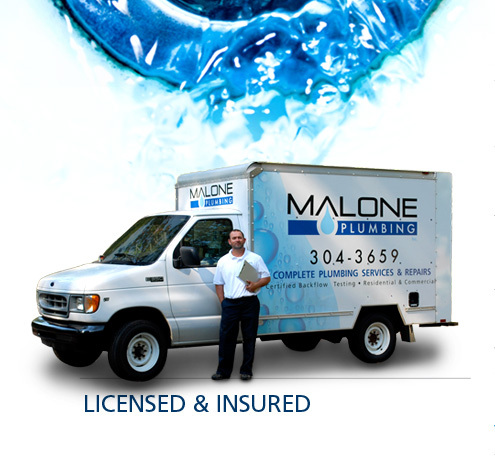 Malone Plumbing, Inc. is a fully licensed, insured and locally owned plumbing company serving the upstate of South Carolina. We're a full service company that can meet all your plumbing needs from a dipping faucet to a large renovation project. With every job, we assess the situation, explain the solution(s) along with what your options are. This way, you can make the decision that's best for you. With our years of experience, you can feel confident that the service you receive will be professional and informative. As a member of the Better Business Bureau, we strive to meet your every need and to make your experience with us a pleasant one. A large amount of our customers come to us by word of mouth. Those are the customers that we're most proud of. There's no amount of advertising that can buy a satisfied customer who recommends you to someone else. We appreciate your interest in our company and we hope you give us a call for your next plumbing need.